Imagine sailing down the shoreline of Lake Tanganyika, one of the few unspoiled ecosystems on the planet, to find what may be one of the most unique camps in the world. Getting to Greystoke Mahale is half the fun. Its remote waterside location means there's nowhere to land a plane, and there aren't any roads nearby. Instead, you'll arrive via wooden boat that will seem to drop you off on a deserted beach. Look closely, and you'll see the iconic sweeping outline of the thatched-roof lodge, the only clue you've found your destination. 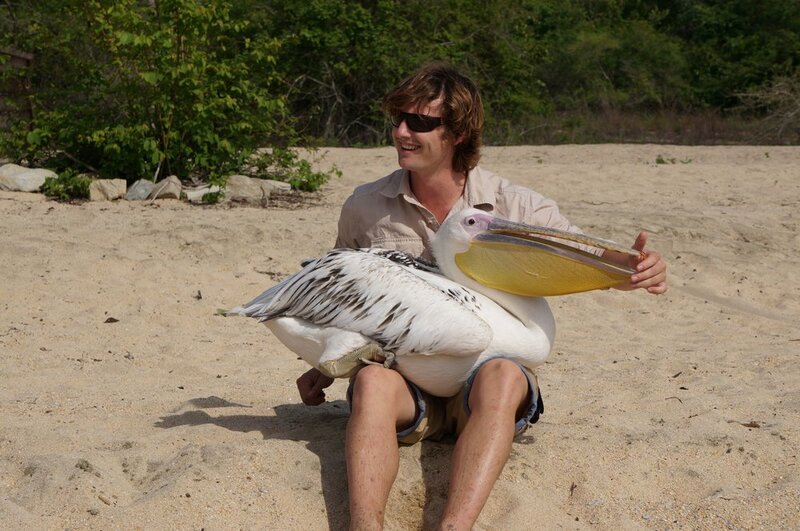 This is Greystoke Mahale, and it's known around the world as an epic outpost for gorilla trekking and one ridiculously famous pelican named "Big Bird" (see his GoPro video below). During your stay in this magical place, you will have the privileged opportunity to track and witness daily life in the chimpanzee community. 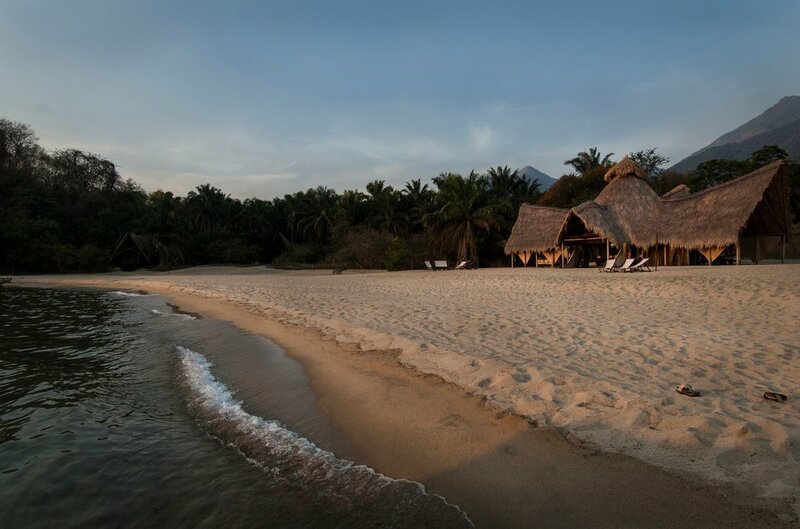 This powerful experience is framed with Mahale's other exciting activity options, like hiking forest paths, diving into pools underneath mountain waterfalls, and kayaking out into Lake Tanganyika when you wake up to watch the sun rise over the mountains. You'll wind down with a star-lit meal on the shore, just a stone's throw away from your open-air room and the extensive jungle enveloping the surrounding hills. Just make sure you watch out for crocs when you stroll along the beach afterwards, soaking up every last minute in this isolated paradise. "The dilemma of conservation concerns us all, with the issues surrounding the fragility of the chimps and their environment. At Greystoke, this accentuates the feeling that we are very very lucky to be here, something that is so often forgotten." 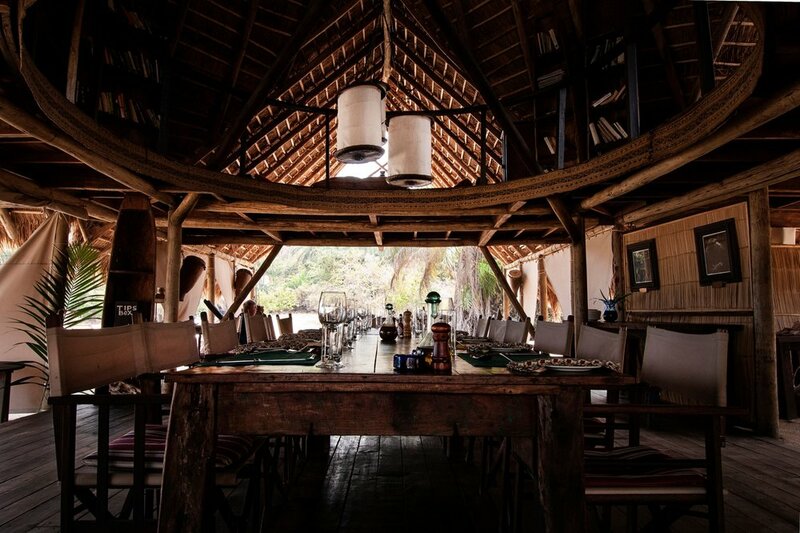 Nestled in between the two African National Parks, Chem Chem offers an out of this world retreat unlike any other. Introducing the latest outpost in the under-the-sea craze, the Manta Resort off the coast of Tanzania.